The Prince Tour XT tennis string set has a very elastic thermopoly design with an exceptionally thin gauge that helps you improve your touch play. This polyester string is also made to promote good spin and control, and has a gauge of 18 (1.18mm) and is 12.2m (40ft) long. 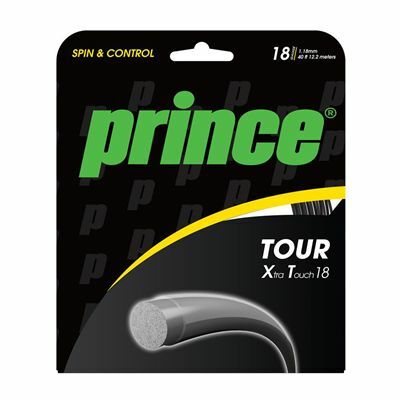 for submitting product review about Prince Tour XT Tennis String Set.